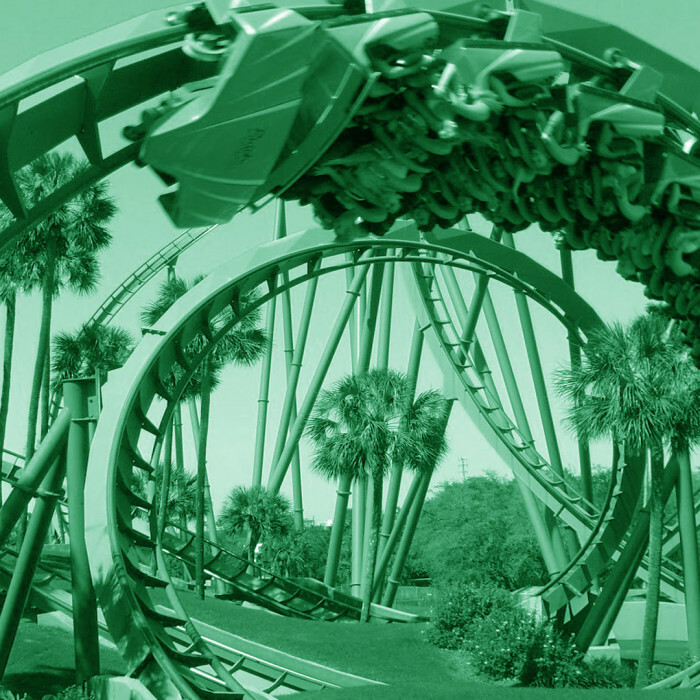 In today’s session, Tyler is joined by Jon Parrish, to explore the emotional roller coaster ride that is running a Kickstarter campaign. Jon’s first Kickstarter campaign was successful, but went right down to the wire. All the ups, downs, twists and turns he experienced are covered in detail. Today’s Session is Sponsored by the Johnny Bullet webcomic by Hervé St-Louis. Read it for free at comicbookbin.com/bullet. Before we get into today’s episode, I want to share some early insights gleaned from the ComixLaunch Survey we ran last month… and the thing I’m most excited about for 2016. We launched the survey throughout the month of October 2015 to find out more about you guys… what you’re struggling with, and what you want to hear about on this show. The best way to find that information out was simply to ask. And I knew it was going to be eye-opening. One thing that surprised me… nearly two-thirds of the creators that took the survey, primarily made up of ComixLaunch listeners and creators in the ComixTribe community, have NEVER launched a Kickstarter project. I know it seems like every time you turn around, someone new is launching a KS… but the reality is, most creators out there are still on the sidelines. And thanks to this survey, I have a much better understanding of why. 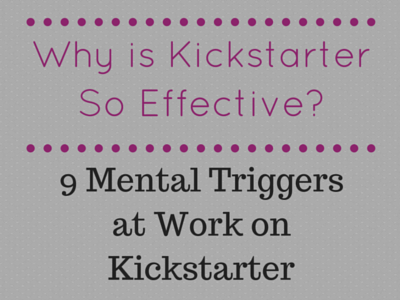 I know what’s holding you back from launching your first (or next) Kickstarter campaign. Do you have a project worthy of launching a Kickstarter? Do you have enough time to run a Kickstarter? With a day job, you’re already finding it hard enough to carve out time to write or draw… how could you possibly do all the work a Kickstarter would require on top of that? What if your Kickstarter becomes an all-consuming endeavor that blocks out the sun for 30 days? Fear is a big thing holding so many creators back… Fear that you’ll launch and your project will be completely ignored and fail to hit its funding goal. What will a public failure like that say about you? What will your friends and loved ones think when they find out something you’ve been working on forever looks like it’s going no where? How do you look yourself in the mirror, knowing how much time you put into your comics, only to have you build it and no one come? Or even worse… maybe the fear that’s holding you back is that you’ll be successful, and then because you missed something in the planning, end up botching fulfillment and disappointing backers, costing your time, money and reputation. Or maybe it’s not those fears that are holding you back… instead it’s the enormity of the task. You know a successful Kickstarter will help move your comics career forward… you just have no idea where to start. How do you set your funding goal? 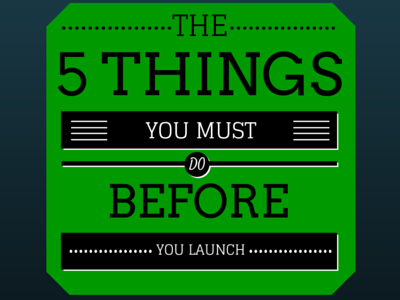 How much of your project do you need to complete before launching? How do you allocate expenses? How do you promote your project in a way that gets media and attracts new readers? I know you. You care. You know that if something is worth doing, it’s worth doing right. But the sheer overhead of “doing a Kickstarter right” and executing it flawlessly is daunting. And the truth is… and creators who have run Kickstarter campaigns before will back me up on this, those concerns are completely valid. In the survey, I also received feedback from many creators who have taken the plunge and launched KS projects, some successful, some not… And there were I whole host of other pain points that those creators experienced that they never saw coming. A theme that kept coming up was the surprising emotional toll running a Kickstarter took on creators. Creators who already were dealing with some mental health issues like depression found them aggravated while running their campaign. And I know at least one creator who will tell you running his first KS campaign landed him in the hospital. And even for creators who succeeded, the overwhelming and unexpected challenges of fulfillment left many unsure whether or not they’d do a Kickstarter again. And even those who will launch another Kickstarter, many were left scratching their heads as to how to build upon the success they’ve had to get books into more readers hands. With all of those obstacles, with all of that pain standing in your way… It’s no wonder so many of you are interested in KS… But haven’t launched yet. There’s got to be a better solution… and Jeremy and I here at ComixLaunch have been working on find it. What if you didn’t have to build your Kickstarter alone? What if you had someone there to coach you through each step in the process — from prelaunch platform building to product design, goal setting, campaign execution, to fulfillment planning and beyond? What if you had a small group of peers building their own campaigns along side of you, who you could share ideas with, get feedback from, and provide mutual support to? Would that make you more likely to launch? 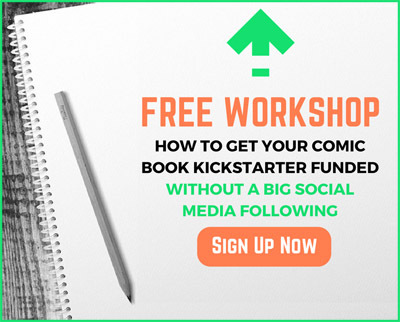 With a proven plan, a supportive peer group, and step-by-step guidance from coaches who have done it before… Do you think you could successfully Kickstart your comic book or graphic novel project and take your career to the next level? In early 2016, Jeremy Melloul and I will be running a small private pilot course for creators interested in planning and building their next KS project the right way. Over the course of ~6 weeks, we’ll be covering every phase of running a KS campaign. This won’t be just theory and general advice, this will be a step-by-step plan for building a rock solid campaign in a small group setting. It will combine a series of live streaming training sessions, supplemental resources and checklists, concrete assignments, all designed to move you one step closer to a successful KS. Essentially, we’re giving you the comic book Kickstarter playbook and coaching you up on how to execute it. And while I’m calling it a course, the final exam won’t be a test… Rather it’ll be your own ready to rock Kickstarter campaign you will be excited and proud to launch and confident to bring to the market. I know there’s a need for something like this… Reviewing more than 100 surveys made that abundantly clear. But why am I the right person to learn it from? Obviously, I have a passion for this stuff, and I’ve already spoken at length about the impact KS has had at changing the trajectory of ComixTribe and my own career. For the past 5 years, I’ve been sharing my creative journey on ComixTribe.com… With lessons learned, mistakes made, and aha moments galore. I’ve had a lot of success on the KS platform, managing both my own projects and those for others in the ComixTribe stable. I’ve had a great mix of projects that I’ve funded, including floppies, trades, hardcovers, mature graphic novels, children’s board books, and even toys. But I’m an educator at heart… and by training, and I have a Masters in Education from Harvard hanging on my wall to prove it. You’re also getting Jeremy Melloul, who is an expert marketer who travels the world consulting for a wide variety of companies on marketing and strategy. (He’s consulting in Costa Rica right now, the lucky duck.) But Lucky for us, comics are Jeremy’s passion, and he is incredibly strong in areas like marketing, and sales and big picture strategic thinking, where so many creators struggle. Jeremy and I love teaching this stuff, I’m incredibly excited to share what we know about building successful KS campaigns with the right group of creators in a more hands on fashion. Who is the ComixLaunch Course for? Creators who will be ready to launch a KS in 2016. Creators who know they have a good product that deserves more readers. Creators who recognize they’ll have to put effort in to get effort out, but are looking to use their time and resources as efficiently as possible. 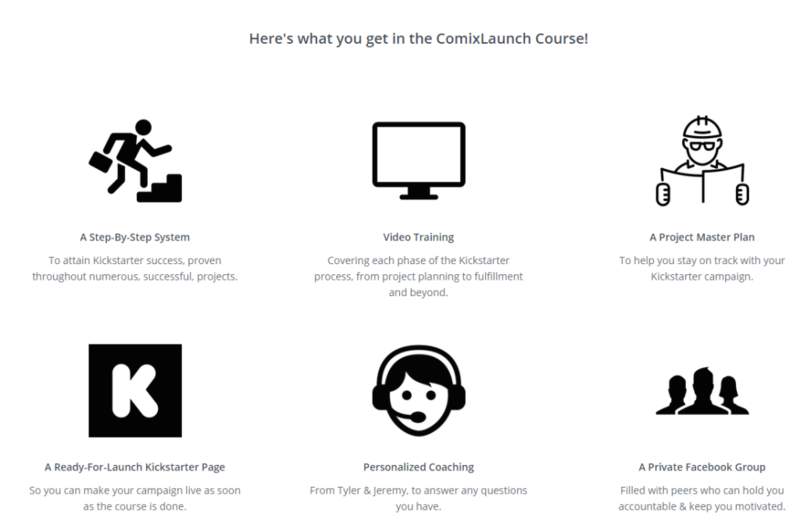 Who is the ComixLaunch Course not for? ComixLaunch course is about taking something that you have ready to present to the market. Someone who isn’t coachable. We’re going to be asking a lot of the creators in the pilot program, and some of the steps to launching a successful KS will push you outside your comfort zone… but that’s where all growth happens there. Someone who isn’t willing to invest in him or herself. The course will not be free. I want to make it clear there will be an investment required to be a part of it. Because this is a pilot course and we’ll still be developing materials throughout, it will be available at a discount for this first round. But it won’t be free, for the same reason I don’t recommend creators launch a Kickstarter without some product to show… We need creators in our course who are willing to put some skin in the game. But the medicine only works if you actually take it… and what being a part of this course will give you is the right plan, in the right order, with the right people there to make sure you stick to it. I know that when you invest in yourself and actually commit to launching, you’ll be more likely to also put the time needed to be successful. Jeremy and I are going on to be devoting significant time and energy to making sure our students are successful, and an investment is one way to make sure everyone in the group is serious about launching and taking their careers to the next level, and to make sure everyone who signs up, shows up. Because this is a pilot program and the first time we’re doing this, we’re only taking a super limited number of creators… we want to make sure we can fully support everyone whose in, so it’ll be capped. You, the ComixLaunch Podcast Audience, are the first to hear about the ComixLaunch Course… And for the next two week, applications are open exclusively to you guys. If you’re on our email list, I’ll be sending you more info on the course and again, for two week, first available will go to you guys. If there are spaces left over after one week, then we’ll open enrollment to the much much larger list of creators who subscribe to ComixTribe.com and Jeremy will send to his Creator-At-Large network, and we will fill the remaining spots. So, if you’re listening to this and thinking Yes 2016 is going to be my year to launch, and you want to build your Kickstarter step-by-step the right way with Jeremy and I, and a small group of creators by your side, in a supportive environment where we’re all rooting for you, then please head to ComixLaunch.com/course and apply for one of the limited spots. This course is the thing I’m most excited about working on in 2016, and Jeremy and I can’t wait to work with a few of you. What is Today’s Session About? One of the things that stuck out to me that so many creators who responded to the ComixLaunch survey brought up again and again was how they were not prepared for the emotional toll launching and running a Kickstarter campaign would take on them. This isn’t the Oprah show or Doctor Phil, but I still think it’s my duty to help the ComixLaunch audience who have you to run a KS prepare themselves for this… and for those of you KS vets, I want to make sure you know that it’s not just you who experience this stuff. My guest today is the comic book writer of two mini-series (Secrets & Shadows) and ClusterF-U-C-K (we’re a clean podcast!) which will be published by Alterna Comics. He has a BA in English and has spent time teaching Language in Japan, and he recently completed his first Kickstarter project… a project that went down to the wire and managed to hit its funding goal on the very last day of his campaign, exceeding his $5,000 goal by just $76 dollar. Here to talk about the experience is Mr. Jon Parrish. Welcome to ComixLaunch, Jon! Guiding Questions for Today’s Show? What kind of preparation did you do to get ready for launch? What were the Highs of your campaign? Getting fully funded in the last few hours. What were the Lows of your campaign? 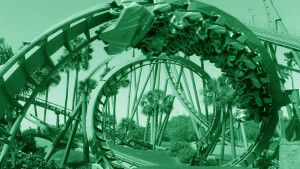 What were some Twists and Turns you didn’t see coming? 2) Let’s the pretend the powers that be at Kickstarter are listening (which you know they are)… if you could change one thing about the Kickstarter platform, what would it be? Twitter was very helpful for me, a lot of backers came from there. Facebook advertising also helped me get in front of a lot of people. 5) Can you recommend one comic (not done by you) more people need to check out? Johnny Bullet is really the kind of comics that we don’t get enough of. Hervé St-Louis, also known as Toon Doctor, creates it. It’s a web comic that has the look and feel of a classic newspaper comic strip, except that it’s published weekly web comic. Johnny Bullet is a professional drag racer who gets in trouble with the law, bad guys, and of course bad women! You can tell that Hervé, Johnny Bullet‘s creator, likes cars and drag racing. There are muscle cars everywhere! There is really no comic like Johnny Bullet. It’s been described as Michel Vaillant meets the Dukes of Hazzard. Set in the 1970s the characters sport afros, and bell-bottoms. It’s fun to read a crime comic that’s serious but without being dark and gloomy. Johnny Bullet is your classic good guy! While Hervé tells me that he isn’t ready to launch his Kickstarter just yet, there’s nothing stopping you from reading Johnny Bullet at ComicBookBin dot com slash bullet (comicbookbin.com/bullet). Leave him comments so he knows that we sent you! Johnny Bullet. It’s a comic about a man and his car. 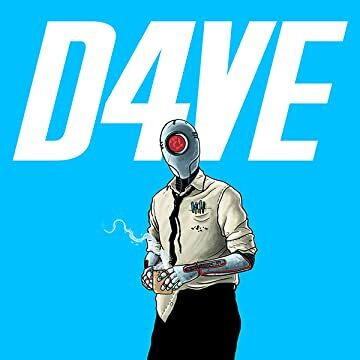 A ComixLauncher is a short, actionable activity you can and should do right now, or immediately after listening to the show. They’re all activities I’ve done myself, and will get you one step closer to a successful ComixLaunch. They’ll transform this Podcast from a passive, lean back activity centered around Tyler James, into an active, lean-forward activity centered around YOU. All of us our busy, but we all can spare 5 minutes to do this. 1) Do you have one final piece of advice on running a Successful KS campaign for the ComixLaunch listeners? 2) Besides, how can listeners best connect with you online? We’re going to go even deeper into both mindset, strategies and tactics for making KS work for you. Would you like to build your first or next Kickstarter campaign with me? If so, go to ComixLaunch.com/course to apply to join a pilot group of creators Jeremy Melloul and I will be taking step-by-step through the process of planning and launching a Kickstarter campaign. Spots are extremely limited, so if you are at all interested, do not wait… go to comixlaunch.com/course, fill out the short application. We’re looking forward to helping you launch. ← 020 – Is your project “worthy” of a Kickstarter?